I remember my first afternoon tea in London. It was at Harrods in 1979. We queued nearly 30 minutes while waiting for the velvet rope to drop, allowing access to a three-tiered buffet of sweets that would make a regiment of Horse Guards swoon. The dessert trolleys held row after row of delicious pastries, cakes, and tarts. I filled my plate more than once and consumed so many luscious sweets that a sugar rush finally bested me, and a headache set in for the evening. My body longed for anything savory to offset my bad behavior. I learned a valuable lesson that day—a well-designed afternoon-tea meal is a blend of both sweets and savories. That tenet served my wife and me well when we opened a tearoom 10 years later. 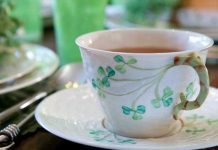 We crafted delicious tea meals at the Elmwood Inn for 14 years, but always with a balance of about 60 percent savories and 40 percent sweets. We taste first with our eyes. 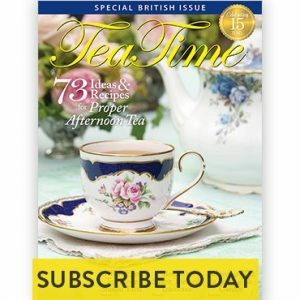 Teatime foods should be beautiful and presented in a fashion that pleases the eye before it pleases the taste buds. 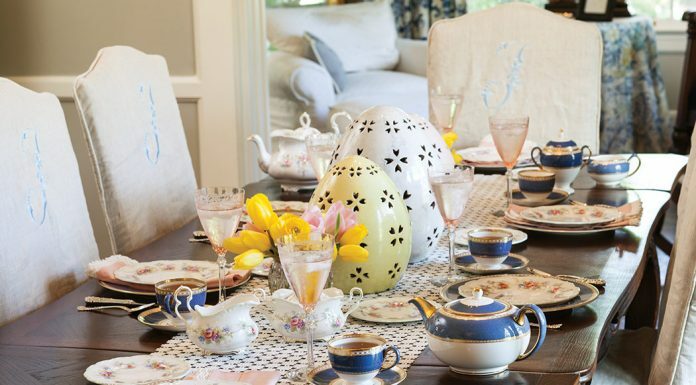 Consider using edible flowers, multigrain breads, or fruits to brighten your teatime color scheme. No one item should dominate an afternoon-tea meal. Guests should be looking forward to tasting your next exquisite creation. That anticipation won’t come about if one dominant item satiates their appetites. Keep it light. Use glazes rather than frostings for your tea cakes. 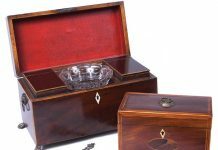 Victorian sponges and cakes sliced into small portions are perfect for afternoon-tea meals. Avoid heavy chocolate icing or sugary fillings that might overpower other foods on the plate. Feel free to draw from multiple culinary traditions. 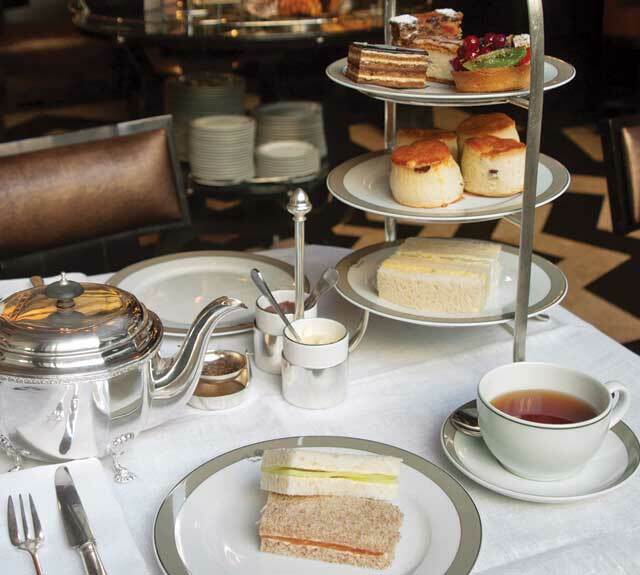 I love English afternoon teas at such restaurants as The Wolseley in London, where I expect to find cucumber, egg and cress, and smoked-salmon tea sandwiches on the plate. But in America, anything goes as long as items don’t compete with each other. Make your food easy to manage. Your guests will appreciate the effort you put into making sandwiches, canapés, and tarts easy to eat. Most foods should be small enough to consume in two to four bites, especially when you are putting together a buffet tea. Everything should be in miniature form for those who may be standing or seated away from a table while eating. This helps diners feel at ease and conversant, and it gives them more opportunities to compliment you on the skill and thoughtfulness that went into your culinary creation! Bruce Richardson and his wife, Shelley, are authors of numerous teatime cookbooks, such as A Year of Teas at the Elmwood Inn and The Tea Table. 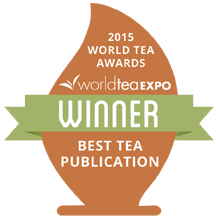 Next articleWill You Meet Us in Seattle at the Northwest Tea Festival? With so many more people becoming diabetic, this is even more important. There needs to be simple fruits, veggies and protein included in afternoon teas. Using veggies as the base to pile on a savory instead of bread is a great idea. I know now that if I go to tea I must limit myself to one bite of a scone, one bite if a sandwich and one bite of a sweet. So consequently, I just turn down the invites. I so agree with Darnly, but I still go to teas. I take my Stevia & enjoy the tea. I’ve just quit giving tea parties because of preparing the food then having leftovers. 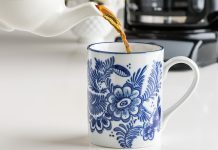 When I give a tea, I usually serve five things: 2 kinds of sandwiches, tea or deviled eggs, fluffy Southern biscuits, and a fruit flavored bundt cake. I might add cherry tomatoes and a carafe of sherry. I started serving fluffy biscuits because I gave a tea honoring a British friend. Being British, I was sure she tasted much better scones than mine so I made something I was more confident about. They were a hit. Lovely article about balance. I agree, the sweet portion of the meal should not be too sweet. Afternoon tea is a light meal. Also think about the season. A tea menu for the summer would be quite different from a tea served in the winter.